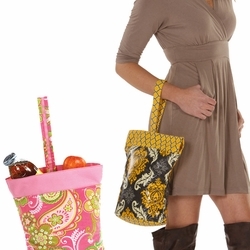 The Columbus Lunch Tote is sensible, fully loaded and we love it! 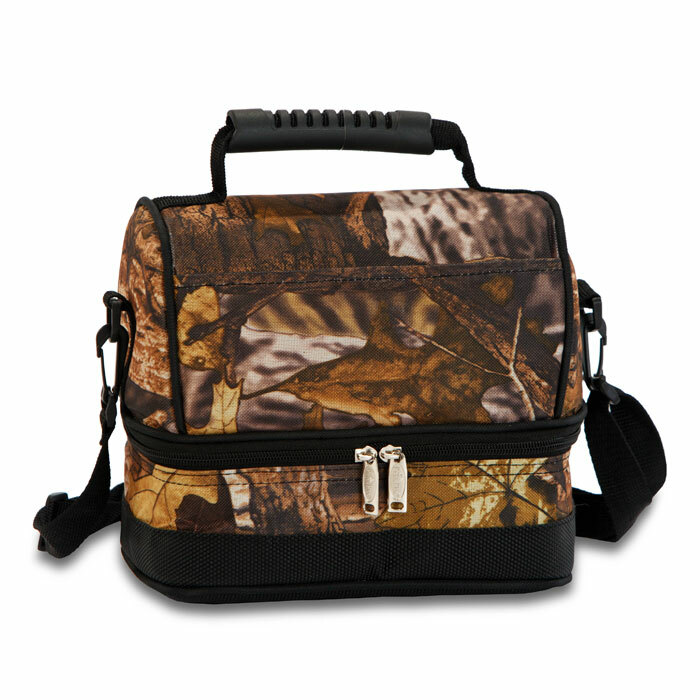 Large compartments, handles, straps, insulation and food storage.....It has it all! 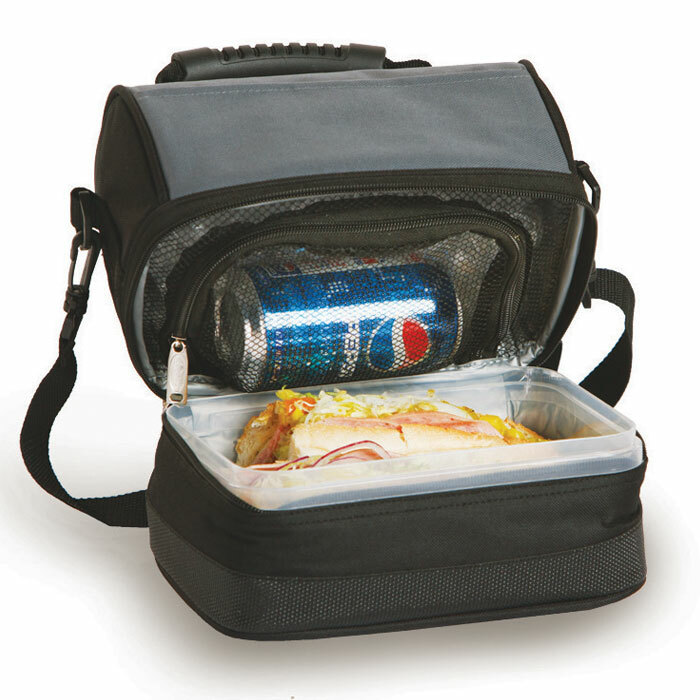 It is a perfect lunch box for guys, girls, work or school! 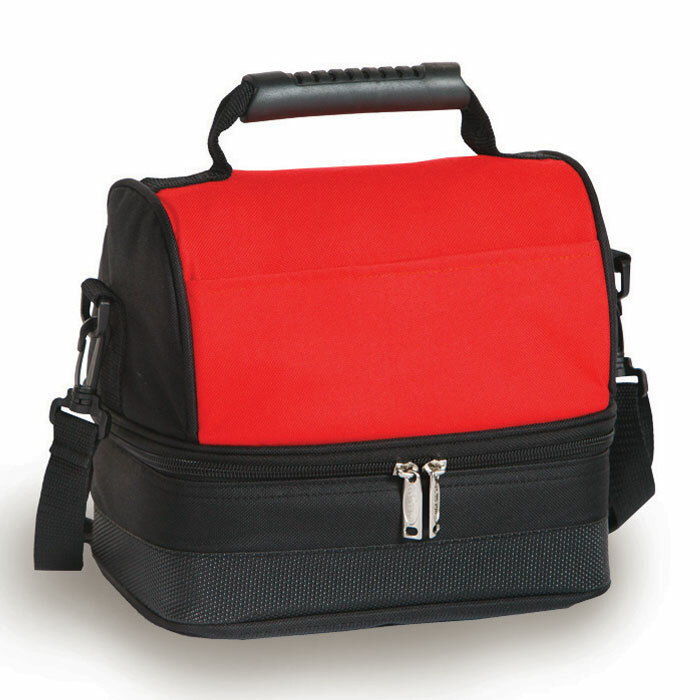 It has 2 fully insulated compartments to keep your food temperatures for hours. The top mesh compartment unzips to hold drinks, snacks or chips. The lower compartment includes a food storage container that fits perfectly and can accommodate sandwiches, salads or last night's left overs. 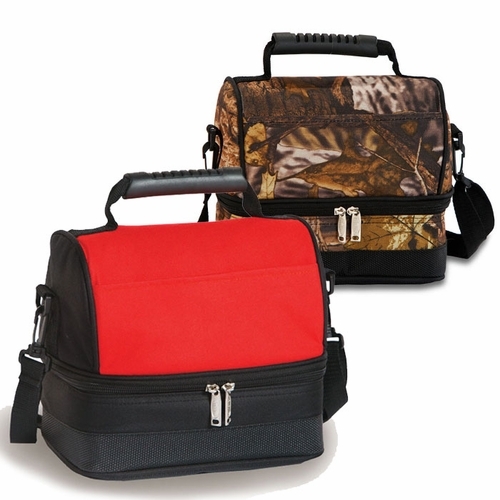 The interior wipes clean easily and the exterior is constructed with durable 600D polyester and a textured base. 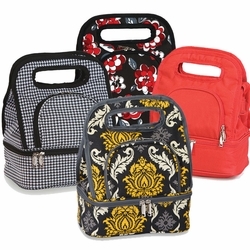 The front pocket is convenient to hold napkins, silverware or small personal items. Carrying is versatile and easy with the comfortable rubber handle or the adjustable and removable carrying strap. 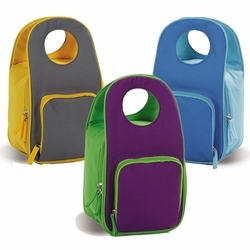 This insulated lunch tote could be used as a daily lunch box or as an occasional cooler tote. Add a personal touch by having it personalized with a name, initial or monogram. 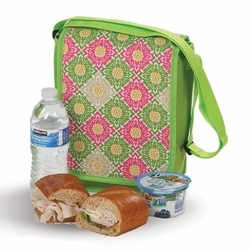 Personalize Your Columbus Lunch Tote!